Stages are a great way to help your Volunteers keep track of their progress and sort through their prospects. To take advantage of Volunteer stages, reach out to genius@evertrue.com to have it enabled. The great part about Volunteer Stages is that you can set a different stage group for different pools. Send EverTrue the names of the sets you want to use (i.e. Annual Fund Stages, Call Center Stages, Athletic Stages) and the corresponding stages for each set (i.e. Contacted, No Response, Planning to Give). EverTrue will then create your stages and you can enable them in your pool settings. 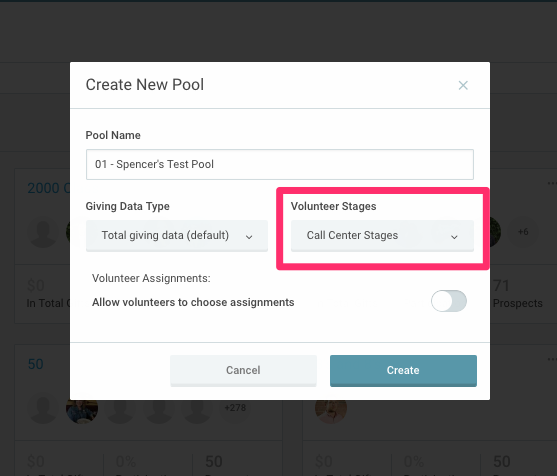 You can set the Volunteer Stage when creating the pool or at any time via the Pool Settings. When a Volunteer views a prospect, they will have the option to set the stage using the drop-down menu in the upper-right corner of the prospect's profile. 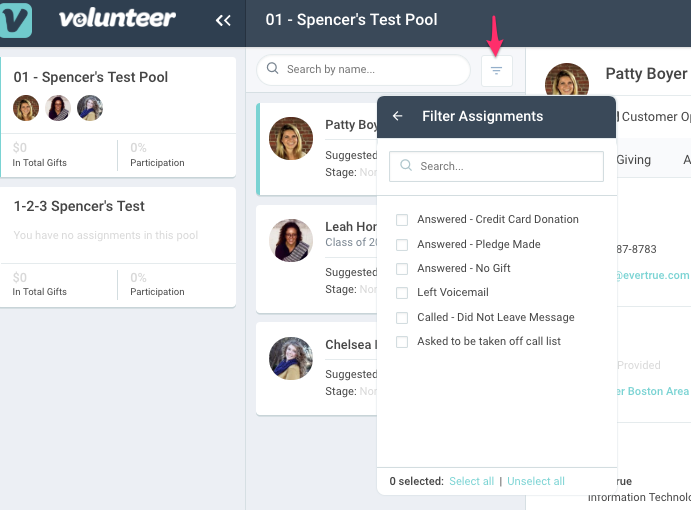 Within each pool, volunteers can filter their pool by stages, which can be especially helpful for finding prospects who should be contacted again or for sorting through a large number of assignments. 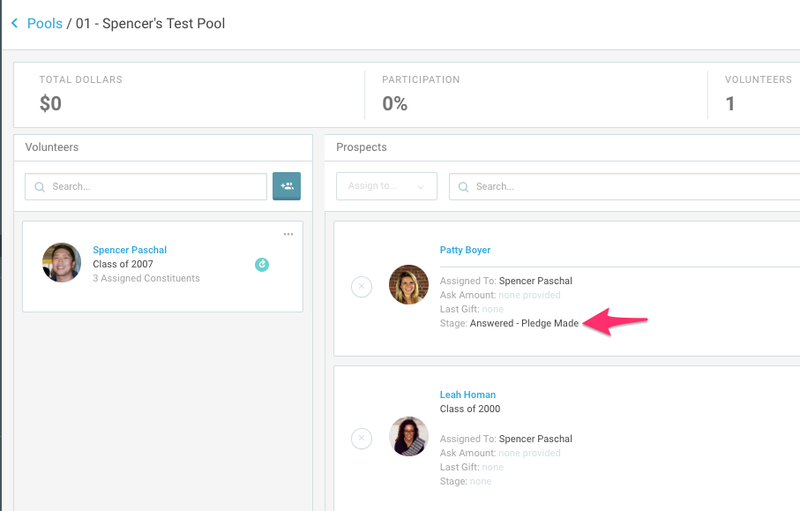 As a Volunteer Admin in app.evertrue.com, you can use the Pool Insights to see stage distribution or view an individual prospect's stage on their prospect card. This is an easy way to keep track of your volunteer progress!